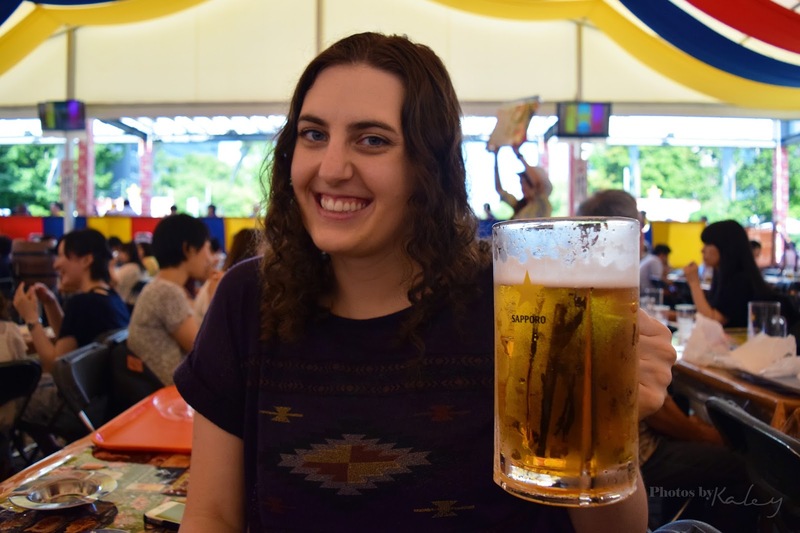 It's Wednesday, which means it's time for looking at some tasty foods other travel bloggers have had on their adventures! You can read the previous two entries here: number one and number two. If you'd like to submit something to this series, please send an email to communicationisdifficult@gmail.com with the subject "Tastiest Travels" and I will get back to you with all of the details that I need! This week has a great variety of things, so there is sure to be something that catches your eye! Enjoy! Leche de Tigre is the citrus juice that's leftover from curing the raw fish for ceviche. It's a delicious mix of lime juice, onion, spicy chilies and fish juice. You don't want that incredible juice to go to waste, so it's served as its own dish - mostly as an appetizer in a tall glass with a couple of prawns thrown in. I fell in love with Leche de Tigre when a Peruvian friend of mine took me to a hole in the wall Peruvian restaurant to try it. It is a flavor bomb that will alight your tastebuds in the best possible way, and it's super spicy, with just a hint of fish flavor. There's nothing else like it. 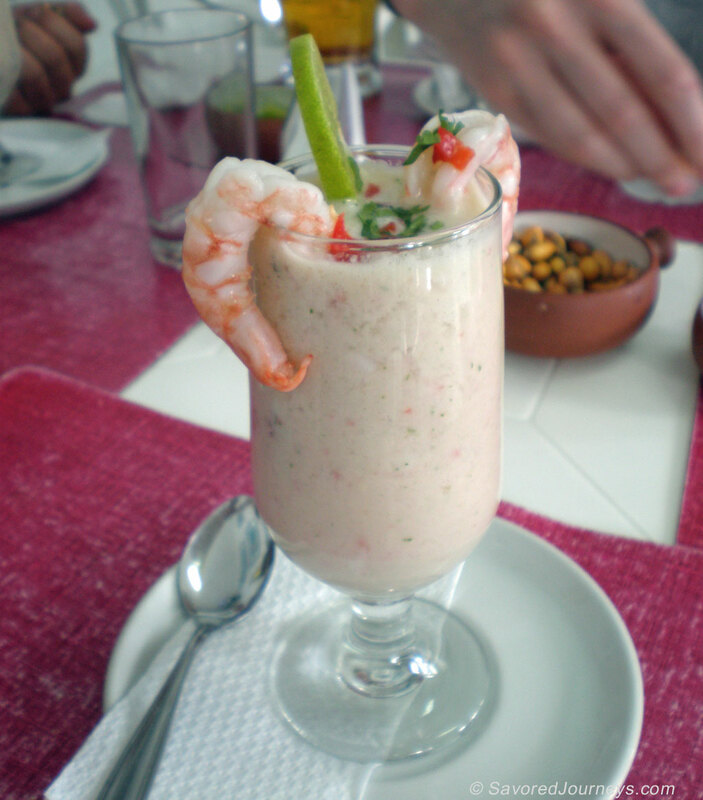 If you like ceviche, you'll love Leche de Tigre. I couldn't get enough of it while I was in Peru and I've even tried to make it a couple of times at home. I never really liked octopus much before I went to Spain. We had Pulpo ala Gallega at one of the restaurants featured in the Adventurous Appetites tour in Madrid and I instantly changed my mind about octopus. 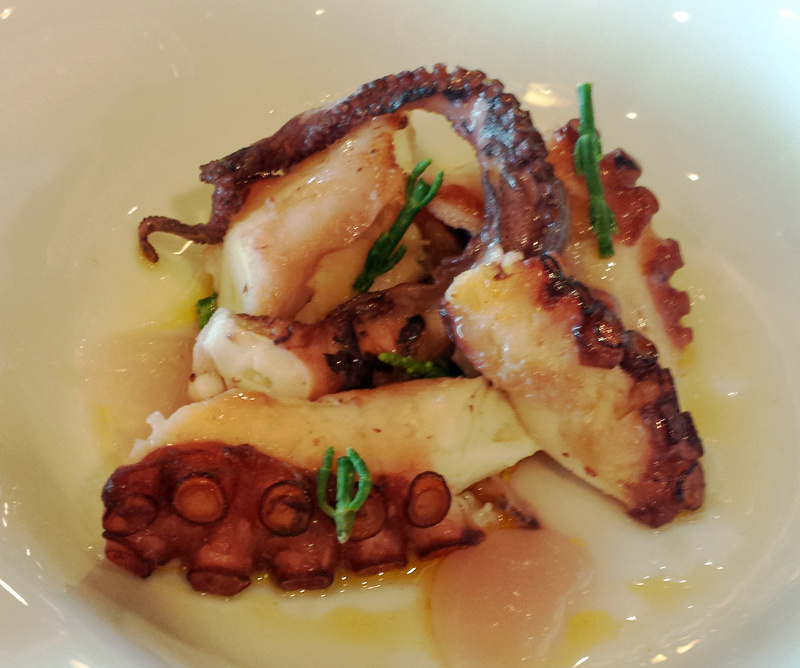 When cooked properly, as they tend to do in Spain, the octopus is delicious, tender and mouthwatering. Turns out it's not really all that difficult to make at home. You just need to follow a good recipe and serve it with the best, top quality olive oil. I know most people have already heard of poutine, but it's truly one of my favorite things to eat in the whole world. 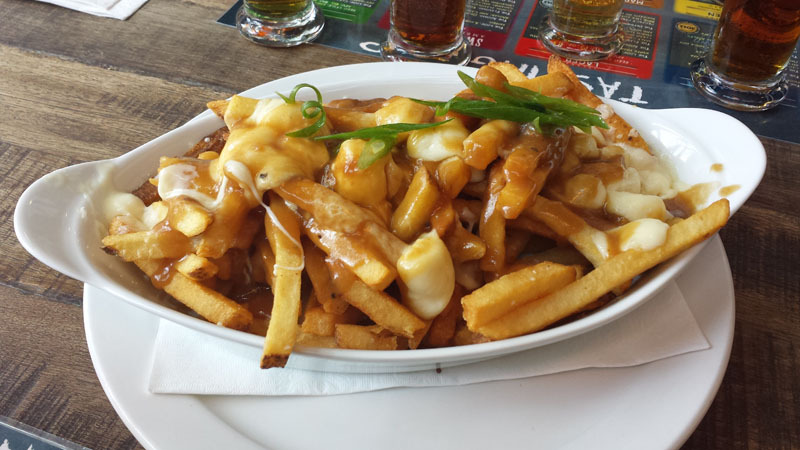 Last time we were in Vancouver, we had what has now become the benchmark for all future poutine at Granville Island Brewery on Granville Island. I've had so many dishes of poutine - some are served with shredded cheese instead of curds, some have a watery, weak gravy, some have soggy fries - so when I had this plate of poutine I was incredibly happy to find that all of its components were perfect. Irresistible! This is more associated with nostalgia. I grew up in Tanzania, Africa and growing up, there was this mess outside our school which used to serve Zanzibar mix. It is basically a soup with potatoes, chutney and Bhajias and is inspired by the cuisines of India and Tanzania (two countries very close to my heart). It has been years since I had this and you get this only in Tanzania. But the taste still lingers on. Hopefully one day soon, I will be able to have this again. This is a no brainer. I love Italian food and among all the pastas, lasagnas feature in the top of my list. You give me Lasagna anytime of the day and I would eat it up in a jiffy. I think this is one of the reasons that I fell in love with Italy. Last month I was in the US, traveling. I was staying in a quiet suburb, Westmont with my cousin. If I had to go to Chicago alone, I had to take a Metra train there. My cousin dropped me at the train station and then when we got there, we realized that the next train was an hour away. I asked my cousin to leave and then I decided to wander around the place. I found a cute pastry shop there and I had one of the best cupcakes I have had till date. 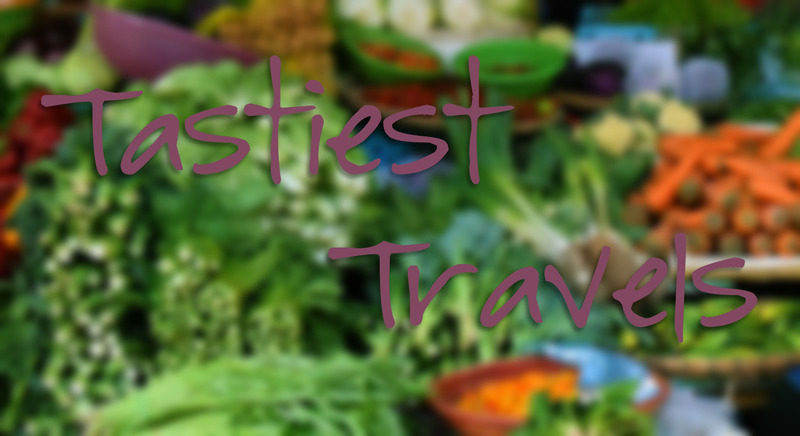 That does it for this week's Tastiest Travels! Big thanks to Laura and Soumya for the great submissions! Hope you all enjoyed reading about it. I need to get myself to Canada to eat that poutine ASAP, I know that much!